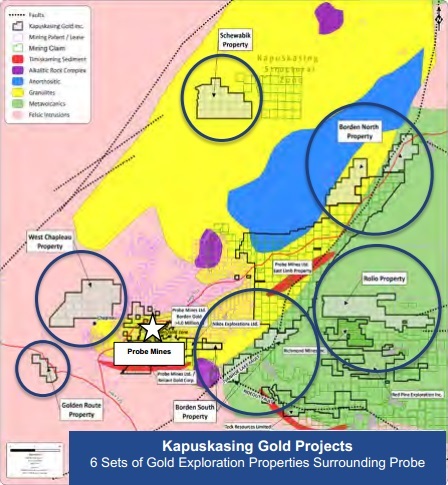 Kapuskasing Gold Corp., formerly Olympic Resources Ltd., is a Canada based mining company. The Company is engaged in the exploration, development and acquisition of graphite, gold and precious metal properties. The Company identifies graphite properties in Canada and other countries to acquire and explore. The Company’s projects include Chapleau, McWhirter Lake Graphite, Flora Lake Graphite, Carmack Caldera and Dragon Lake. The flora lake graphite property consists of approximately five blocks totaling approximately 4,104 hectares located eight kilometers east of Labrador City, Labrador. 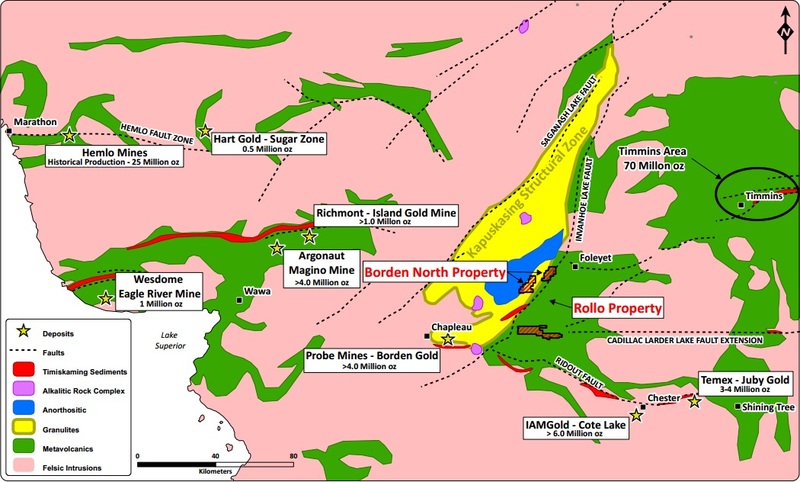 The dragon lake property is located within the Whitehorse Mining District of the Yukon, 85 kilometers Northwest of Ross River. The McWhirter lake graphite property is located in the heart of southern Ontario graphite country.